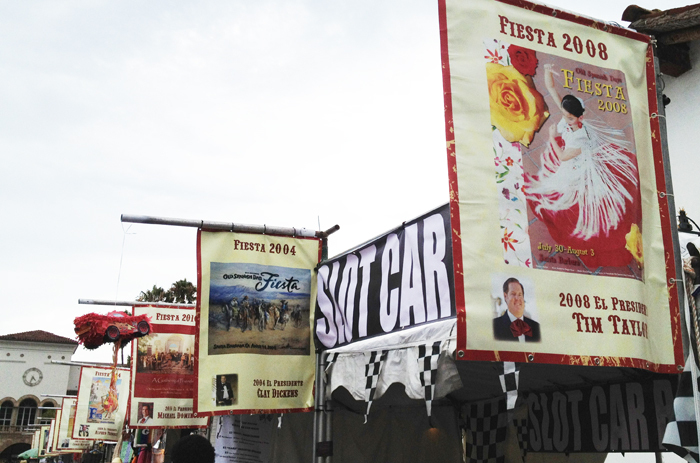 We cruised the Fiesta food stalls contemplating the Mexican fare. 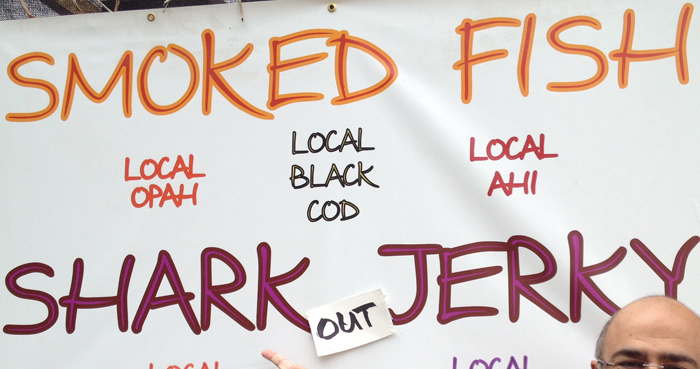 When Mojo was told “we are out of shark jerky”, the dedicated carnivore set out to track down the beef ribs. By the time our fish tacos were ready, Mojo was sharing a table and chopping on ribs. The other diners scooted closer together to make room for our plates. 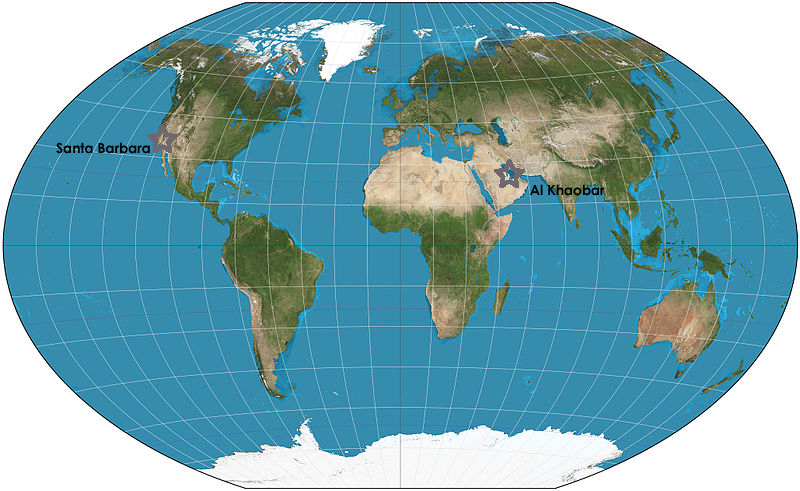 We started chatting and discovered the Filipino couple lived in Al Khobar, Saudi Arabia. They worked for the same oil company Mojo had worked for many years. 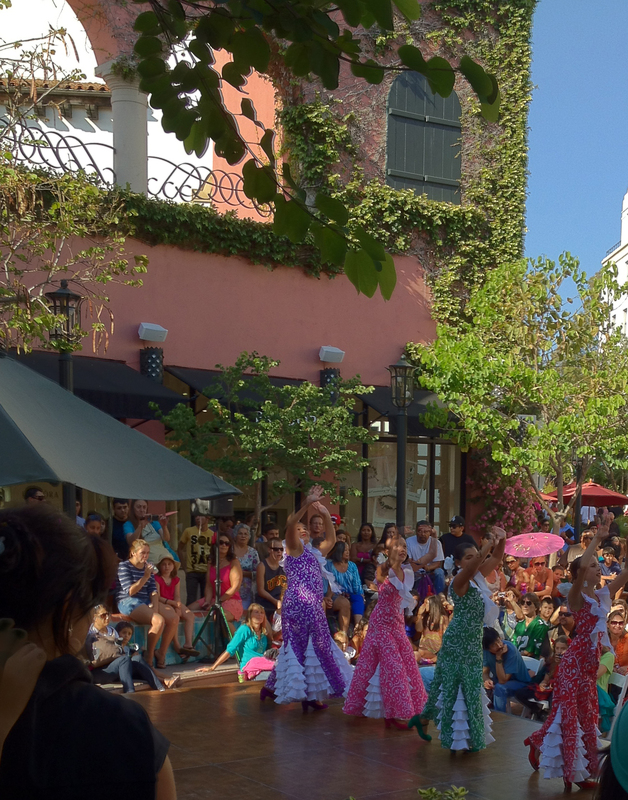 Like us, they were vacationing in Santa Barbara to escape the summer heat. Of the 20 odd tables Mojo could have chosen to sit at, he gravitated to the one most connected to him. 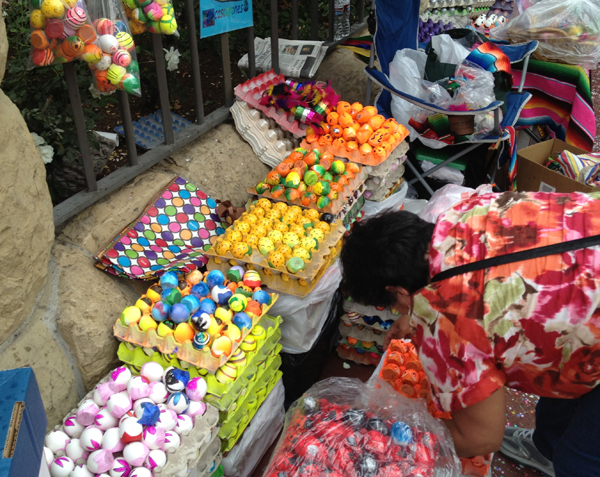 Vendors selling cartons of colored eggs lined State Street. For months the women patiently opened the tips of eggs letting the yolks and whites dribble out. They carefully cleaned, then painted the shells, before filling them with confetti and covering the hole with tissue paper. These were not Easter eggs. 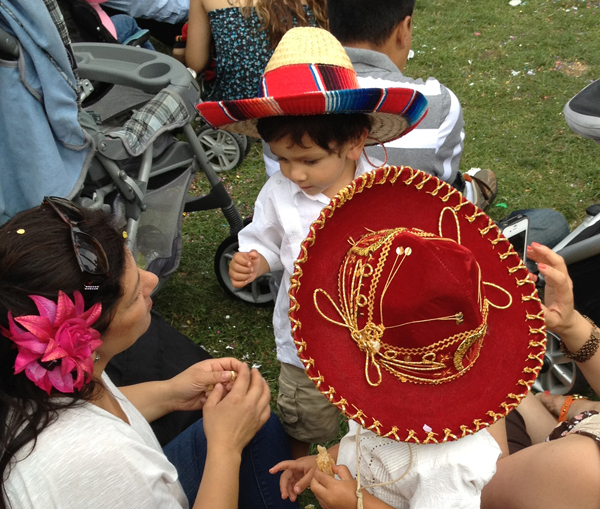 The women prepared them for LA FIESTA. 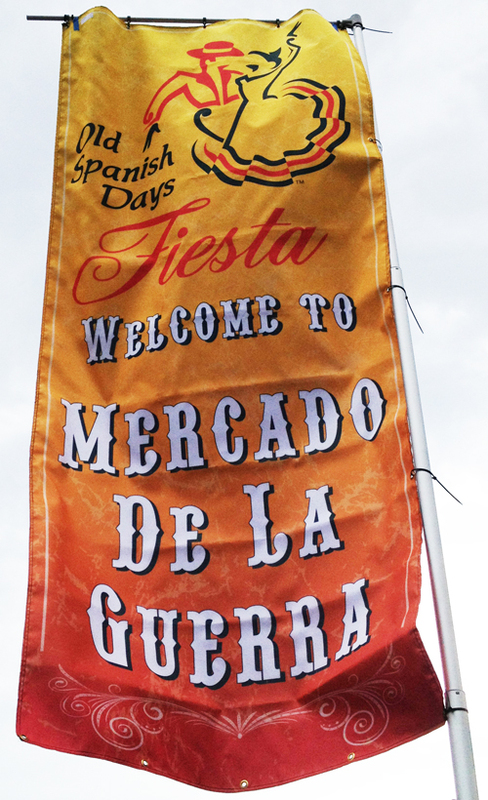 The official name was Old Spanish Days. 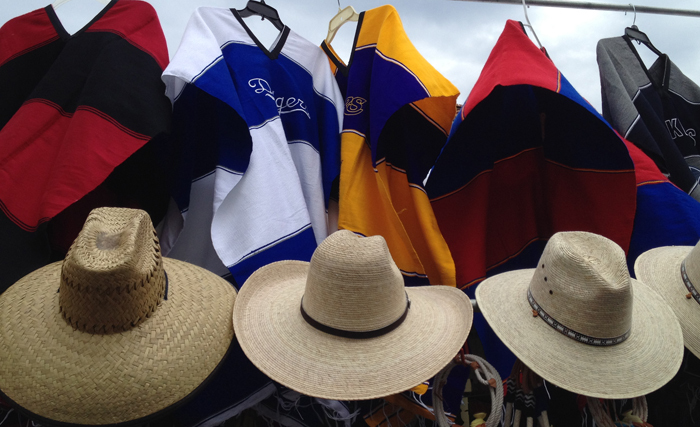 But in mid-summer, everyone in Santa Barbara called out “Happy Fiesta” and asked whether your outfit was ready for the celebrations. 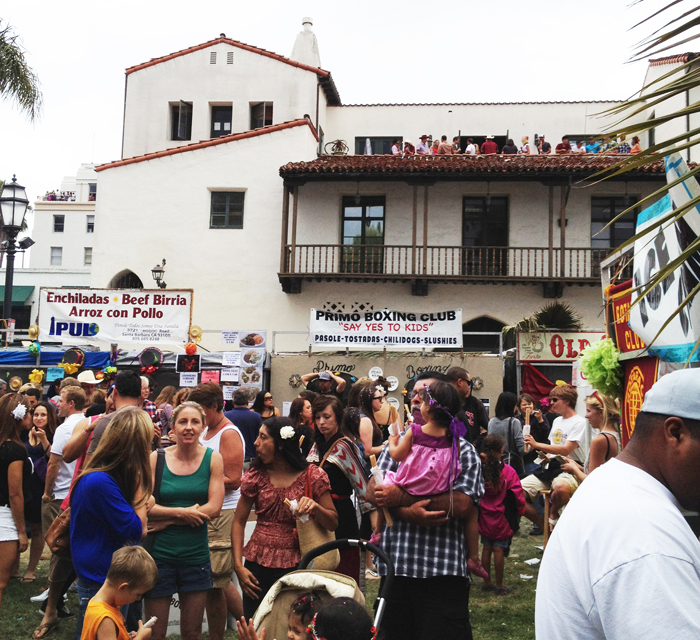 Created in 1924 by a city council trying to attract tourists to Santa Barbara, the festival honors the area’s Spanish and Mexican history. 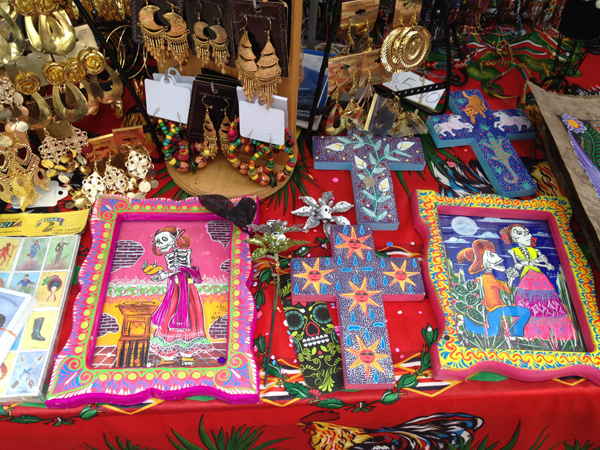 Religion and culture are mixed together for five days of parades, church services, dancing, eating, drinking and shopping for all things Mexican. 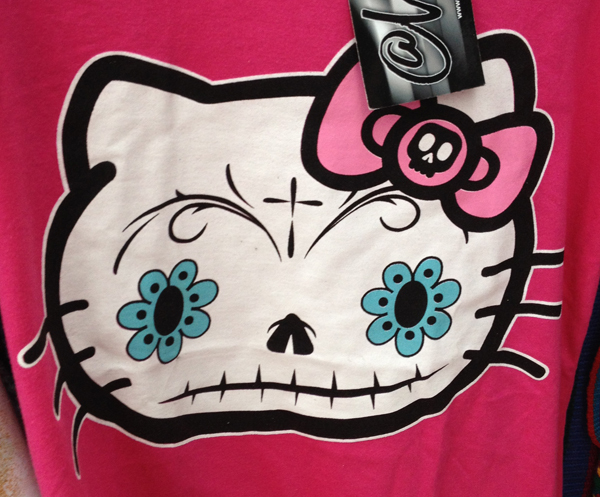 Even Hello Kitty gets a little jalapeno. 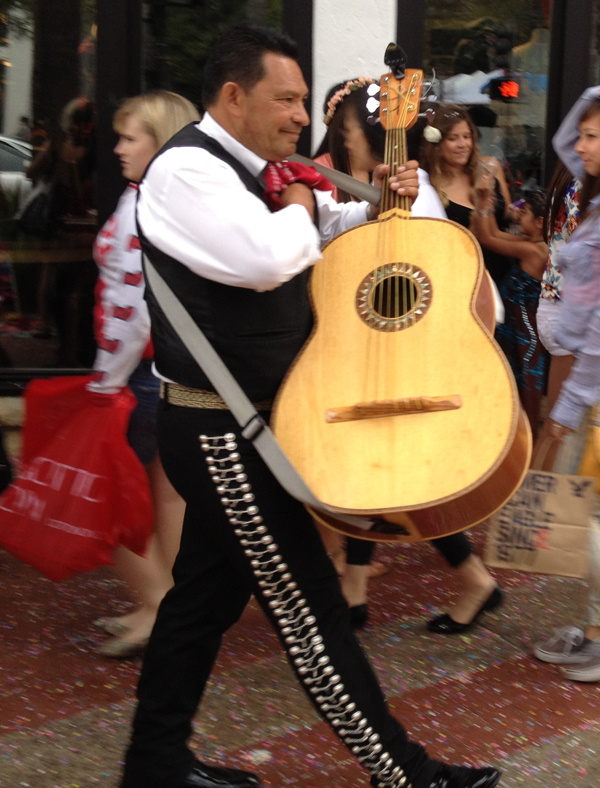 Men dressed in their black mariachi uniforms can be seen carrying their vihuelas along the crowded streets. 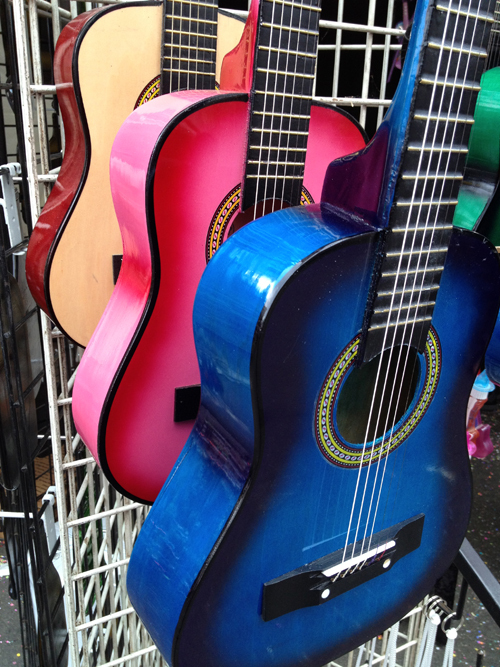 A colored version could be found in the market. 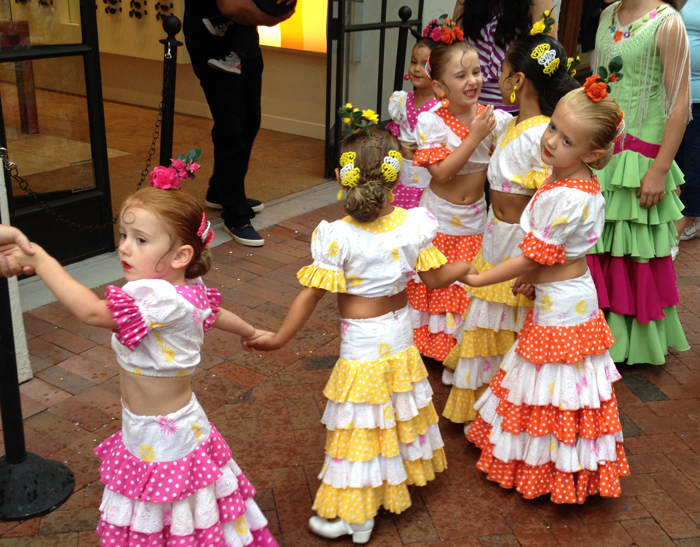 But I thought the people having the most fun were the locals who planned and practiced all year for La Fiesta. And anyone who loved cracking eggs on their friends’ heads. We are not forced to do anything. We are only chosen. To be chosen does not mean anything by itself, but the meaning of what you are chosen to do does. Once we make that choice, the Divine comes to meet us and gives us assistance that is beyond our capabilities. I have never been a big reader of poetry but lately I seem to keep coming across small bits of Rumi’s work. And although no one is forcing me to read it – I am not “in school” – I find that for some reason I am drawn to his work and find a relevant truth in nearly every passage. Perhaps this is an example of the Divine meeting me and helping me glimpse Rumi’s magnificence. My friend Fariba Enteshari has been a Rumi student since I met her nearly twenty years ago at the Immaculate Heart College Center in Los Angeles. While I waded through Theresa of Avila, Fariba was immersed in Rumi’s six volume book of poetry, the Mathnawi. The Mathnawi is 25,000 lines of lyrical verse. It is referred to as the Persian Koran. The verse is spoken in the voice of Rumi’s beloved muse, friend, teacher, Shams al Din. Our bookclub recently read a novel about their relationship called The Forty Rules of Love. Rumi, a Koranic scholar, was a popular Imam in Koya, Turkey. Shams was “delivered” to his doorstep and began a conversation with Rumi that, according to the stories, lasted forty-days and nights. 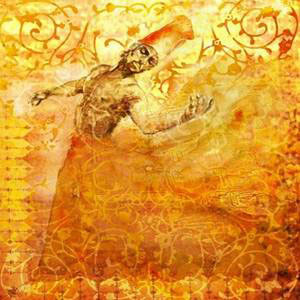 During that intense period of interaction, Rumi’s heart was opened. And after Sham’s death, for the first time in his life, he began writing the poetry which has guided people for 700 years. This Sufism truth was probably revealed by Rumi’s and Sham’s relationship. If you are interested in entering a conversation with a Rumi scholar, this Wednesday, March 14th, Fariba Enteshari is putting aside her writing for the day to have a Banquet of Love. She invites anyone interested in Rumi’s poetry to come to this spiritual feast. Indries Shah, The Way of the Sufi, 1970. 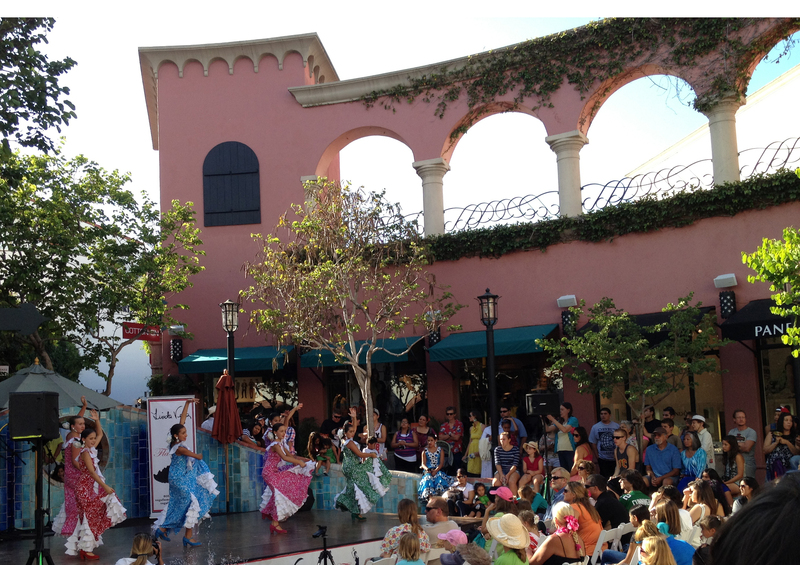 If you are near beautiful Santa Barbara, California this Wednesday, go spend the day at La Casa Maria with Fariba and other Rumi devotees and see what message Rumi’s poetry has for you. 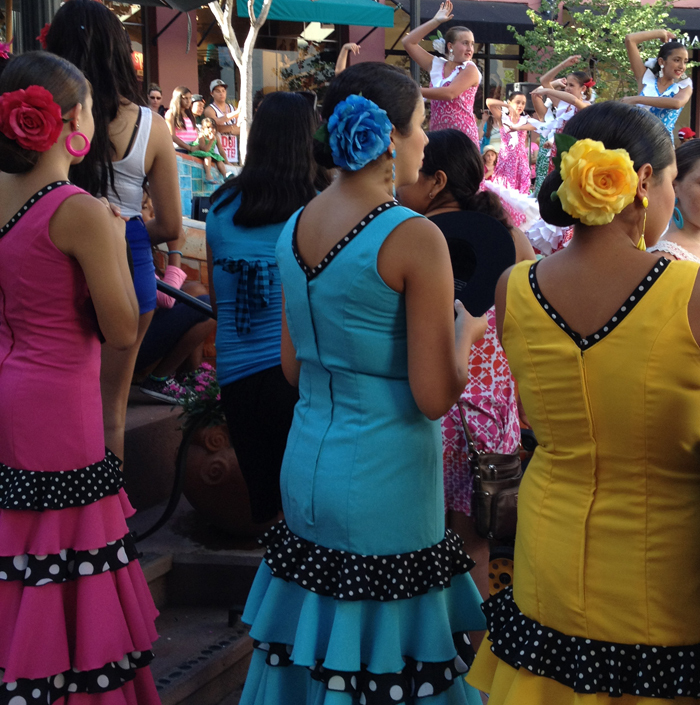 Banquet of Love is Wednesday March 14th 9:30-3:30 at the La Casa de Maria, in Santa Barbara, California. Donations will be taken at the door. 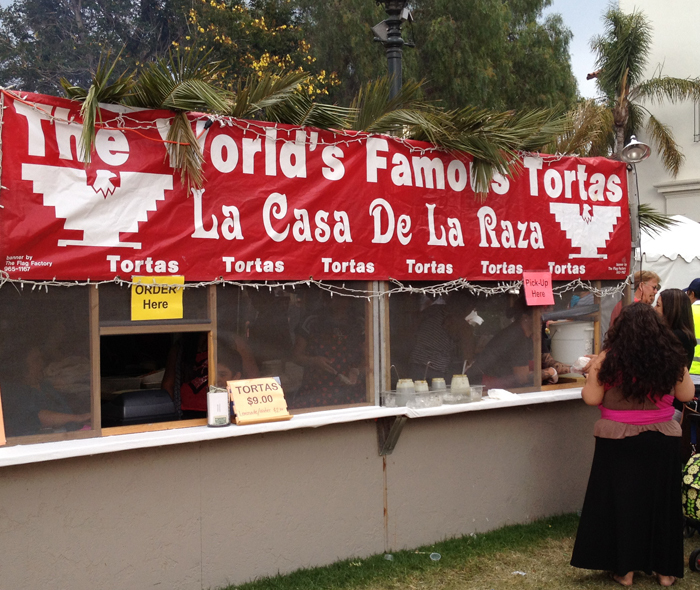 To make a reservation for the $14 lunch go to www.lcdm.org or call (805) 969 – 5031.